TRAVELER’S notebook has a leather cover that ages and becomes with use, and the simple notebook is easy to use. 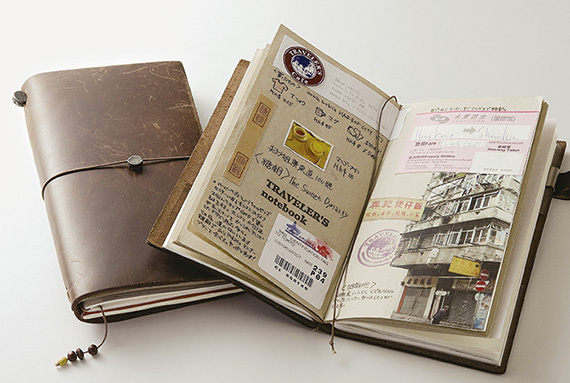 It tempts you to go traveling having this notebook in your hand. Please write down at random what you feel or what you think in the café you dropped into during your travels. 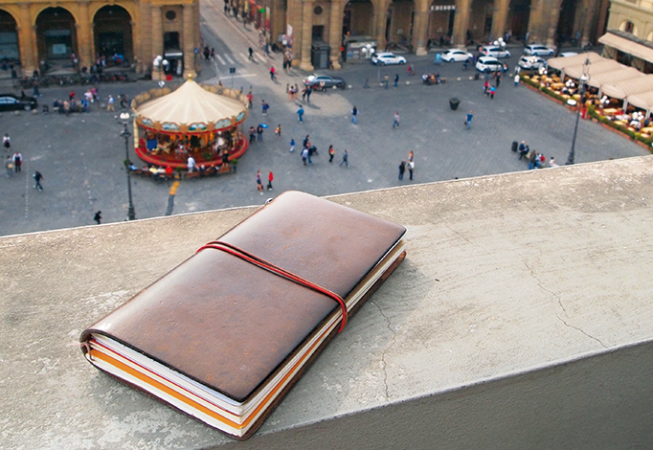 Besides, you may find a new feature every day, going to work, having this notebook in your hand. It may change your life! Each leather cover is made by hand in Chiang Mai, northern city of Thailand. It appeals its own raison d’etre by the simplicity; roughly cut leather and a rubber band with the clasp made of tin. 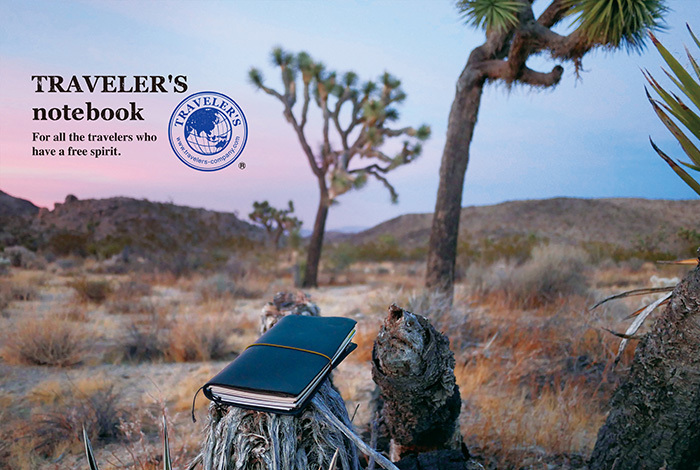 The inside notebook is made in Japan carefully and has their original MD Paper made to pursue the highest comfort in writing. 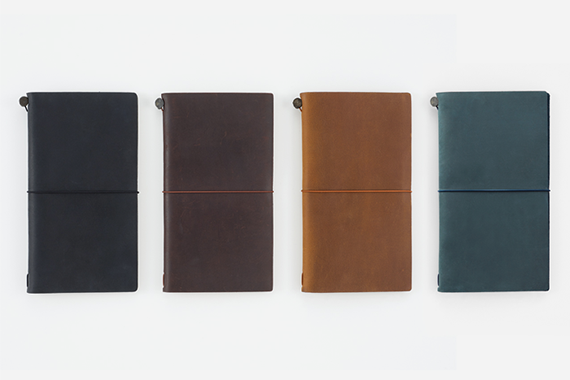 You can find Traveler’s Notebook in all the colours and sizes at the Sway Gallery!